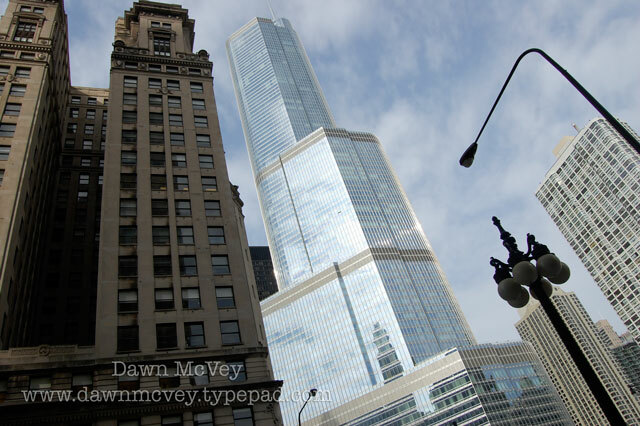 The Trump Tower (the tall, shiny one) -- So fun to see it finished, after watching "The Apprentice" and knowing that Bill Rancic, the winner, was responsible for managing this building project. The last time we were in Chicago, this building was still under construction. Now that we're watching "Giuliana & Bill" on tv, it was even more fun to see the project he worked on. Silly?....Maybe. But fun!